Thank you for shopping at TheBootPro! America's bluecollar choice for work boots for over ten years...and counting! 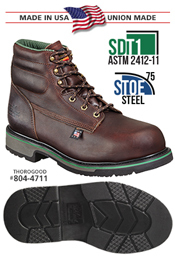 THOROGOOD® has been making quality job-fitted occupational work boots for working Americans since 1892. WEAR THE ORIGINAL!